Dr. Stephen J.H. 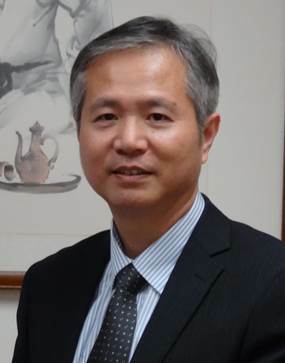 Yang is with the National Central University as the Chair Professor of Department of Computer Science & Information Engineering. Dr. Yang was the Director of Department of Information and Technology Education, Ministry of Education, Taiwan (2013~2014), during the two years of service in Taiwan government, Dr. Yang was responsible for the national information & technology education, he also launched Taiwan’s national digital learning initiative which includes the construction of 100G Taiwan Academic Network for national network infrastructure, the construction of Education Cloud for national data infrastructure, and innovation programs such as Taiwan MOOCs and mobile learning. Dr. Yang also served as the Convener of Information Education Discipline, Ministry of Science & Technology. Dr. Yang received his PhD degree in Electrical Engineering & Computer Science from the University of Illinois at Chicago in 1995. Dr. Yang has published over 70 SSCI/SCI journal papers, his research interests include Big Data, learning analytics, Artificial Intelligence, educational data mining, and MOOCs. As shown on Google Scholar, Dr. Yang’s publication citation indices has been over 10,000, especially on the main research themes, Education data mining is ranked #3, MOOCs is ranked #3, Artificial Intelligence in education is ranked #7, Learning analytics is ranked #8. Dr. Yang received the Outstanding Research Award from Ministry of Science & Technology (2010, 2017) and Distinguished Service Medal from Ministry of Education (2015). Dr. Yang is currently the Co-Editors-in-Chief of the International Journal of Knowledge Management & e-Learning.